The new iOS 12 update includes several new password related features that are designed to make it easier for iPhone, iPad, and Mac users to create strong, secure, and unique passwords for each and every login. All of the features were outlined yesterday by Apple in the Platform State of the Union address for developers. Apple is implementing new tools for creating, storing, and autofilling passwords to streamline and simplify the way passwords work on iOS devices. Apple will automatically suggest strong, unique passwords, with iOS 12 offering the tools to create, store, and retrieve passwords no matter where an account is created, with these new features working in both third-party apps and Safari alike. Many developers won’t need to make changes to their apps to support these features, which means we should see widespread availability. You will no longer open up an app and encounter an experience where you need to make up a password on the spot (which often leads to weak passwords) or exit an app to generate a secure password. Apple will now offer these tools right within apps. All of your passwords will be stored in iCloud Keychain no matter where they are created and they are synced across all of your devices. Also new in iOS 12 is a feature that lets you ask Siri to get your passwords. With a simple command like “Siri, show me my passwords,” Siri will open up your iCloud Keychain after you authenticate your identity with a fingerprint, a Face ID scan, or a passcode. Apple also plans to let users know when a password is weak or has been reused by flagging inadequate passwords. With flagged passwords, you’ll be taken right to the website the password is for so you can update it with something more secure. To streamline two-factor authentication functionality, a new security code autofill feature is being implemented. Incoming SMS security codes will appear in the Quick Tap bar of the keyboard when you need two-factor authentication to complete a login. 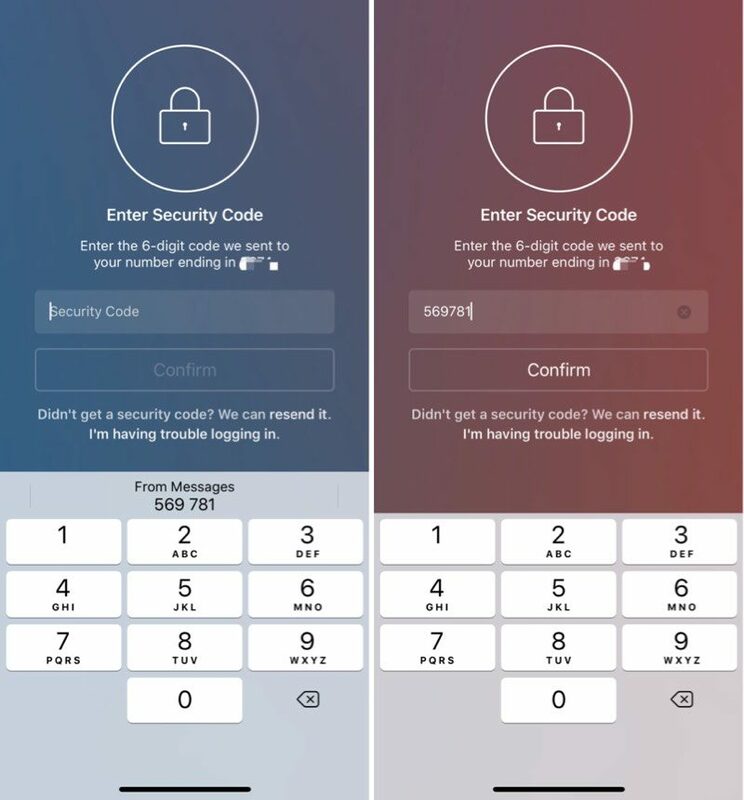 The security code will show up as soon as it’s texted to you so you can enter it with a tap. This unfortunately does not work for third-party two-factor authentication apps like Authy. For third-party password apps, such as 1Password or LastPass, Apple is adding a new Password Autofill Extension that will let these password management apps to supply autofill passwords in apps and Safari, making it much easier to enter a password stored in an app like 1Password or LastPass. 1Password showed off this feature in a video shared yesterday and announced plans to support it. These passwords will be accessible from the QuickType bar in apps and in Safari. You’re also going to be able to share and receive passwords from nearby iOS devices, from an iOS device to a Mac, and from an iOS device to an Apple TV, cutting down on the number of times that you need to use a password. All of these new password features will work across iOS devices, Macs, and the Apple TV to make it easier than ever to keep your products secure through strong passwords and two-factor authentication.